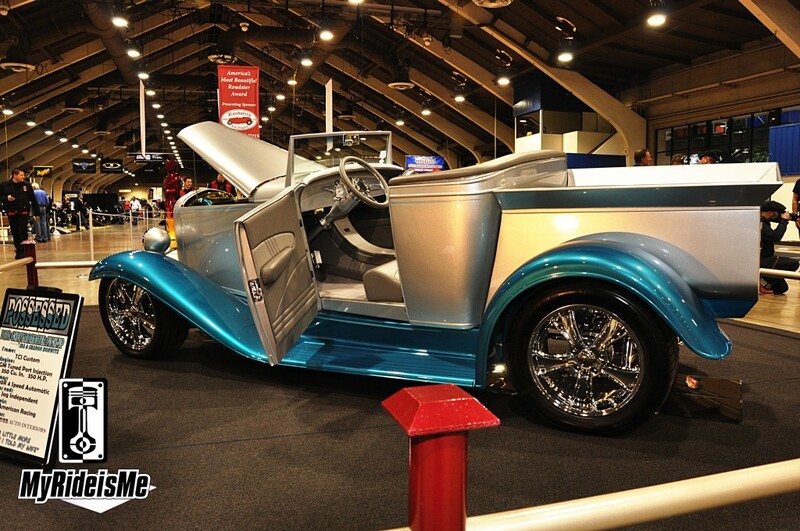 The Grand National Roadster Show is the best west coast hot rod and custom car show. Anyone want to argue that? 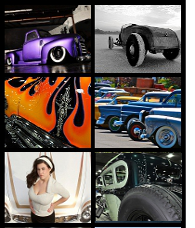 I showed you the 7 Roadsters that could win the 2013 AMBR Award but there are 5 other roadster in the show… they’re all shown here. Enjoy the pictures and for any picture, click on it to see the full-size image. This is a RACE CAR! The Bonneville Salt Flats have never looked so good than when this 200+ mph beauty rockets down the road! 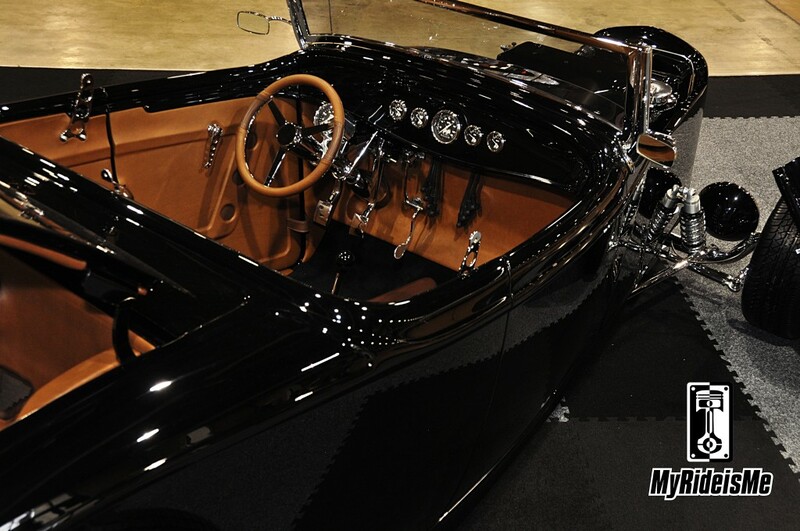 Make no mistake, this roadster is beautiful! Built by the true craftsmen at Rad Rides by Troy, you won’t find a nicer race car anywhere (OK, except maybe for Blowfish) but still, this isn’t enough to win the AMBR Award. 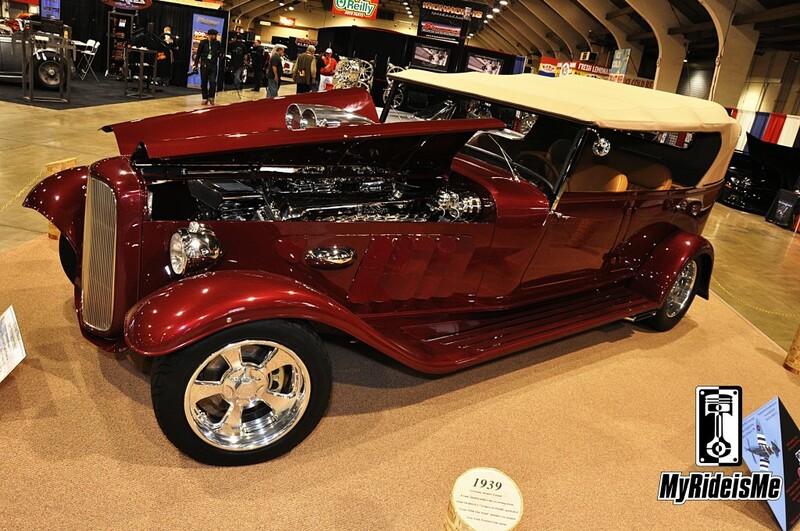 Owned by Mark and Dennis Mariani from Winters, CA, this 1933 Ford Roadster set records a record at 214.202 mph with Mark running E-Street Roadster, then later with Dennis at the wheel, it set the Street Roadster Record at 216.404 mph. That’s pure speed for not alot of cubes… E-class is limited to only 250 cubic inches. Like fellow record setters Blowfish and Speed Demon, both also build by Troy’s crew… records would fall if they were running a steam engine. 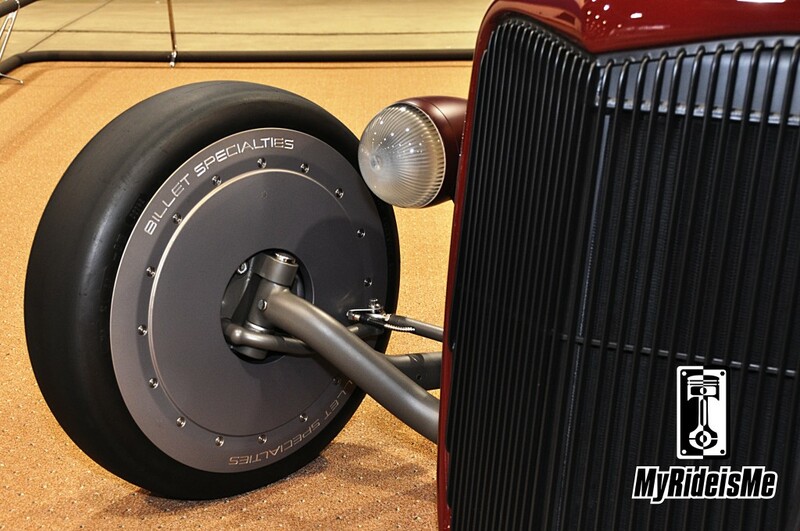 Finally, those wheel covers are a work of art. Take a close look. Ginormica! 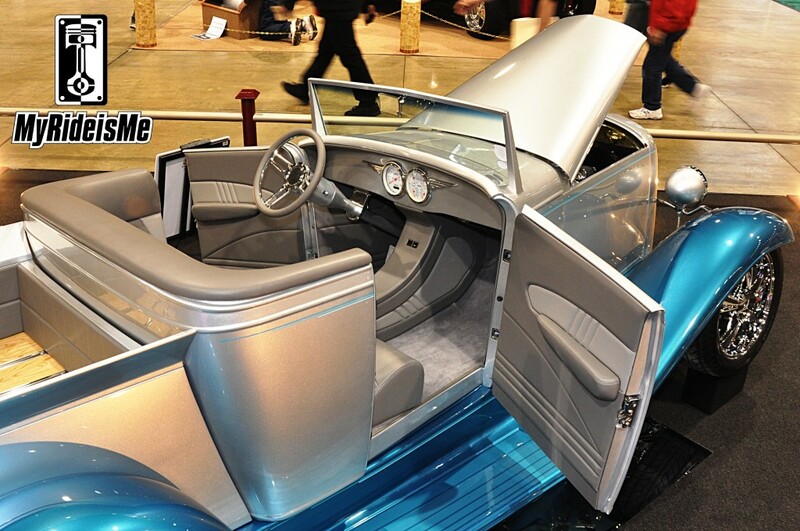 This is a 1932 Ford “Phaeton” with a damn Rolls Royce Metero Mark IV in it. What’s that you say? (I have no idea either) it’s a 12 cylinder, 1647 cubic inch behemoth that puts out 1580 horsepower at 3000 rpm thanks to it’s two stage supercharger. This thing is truly a site to behold. Now, that said, I don’t think it will win the AMBR, but no doubt, it’s the most unique of the bunch. 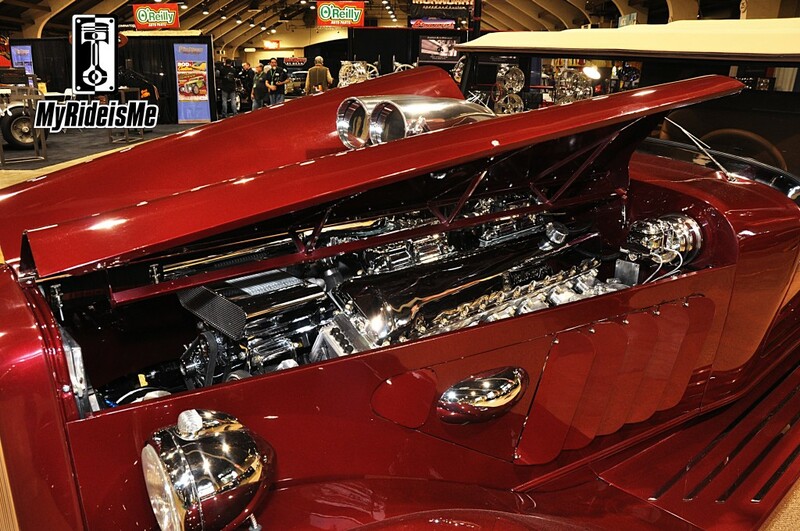 Putting it into perspective, the Rolls motor here is 6.588 times the displacement of the Bonneville car above! 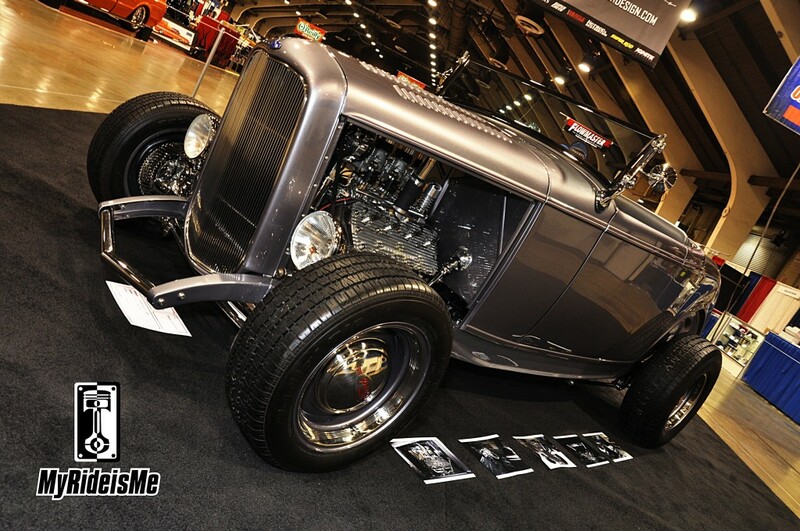 This is Ira and Sharon Horwitz 1932 Chevy Roadster Pickup. 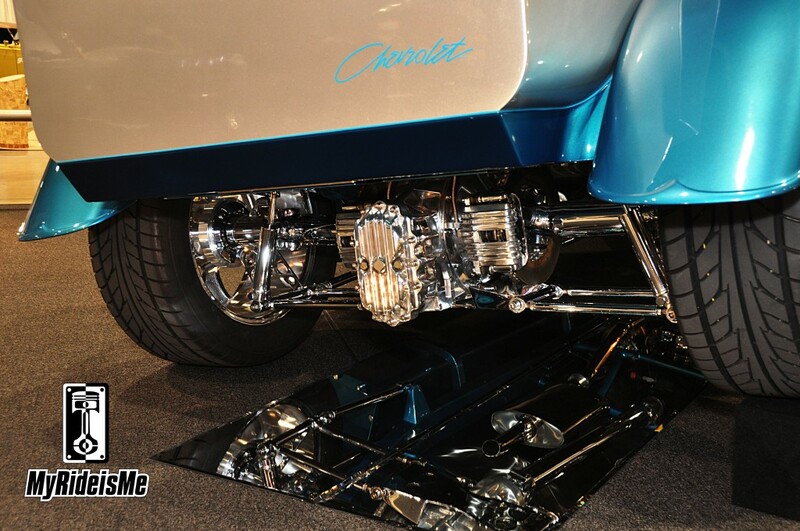 Say it three times… “I’m not criticizing!” But, there’s no way a car with a small block Chevy, these days, will win the AMBR award. Other than that, It’s a great looking car and the only Chevy in the bunch. 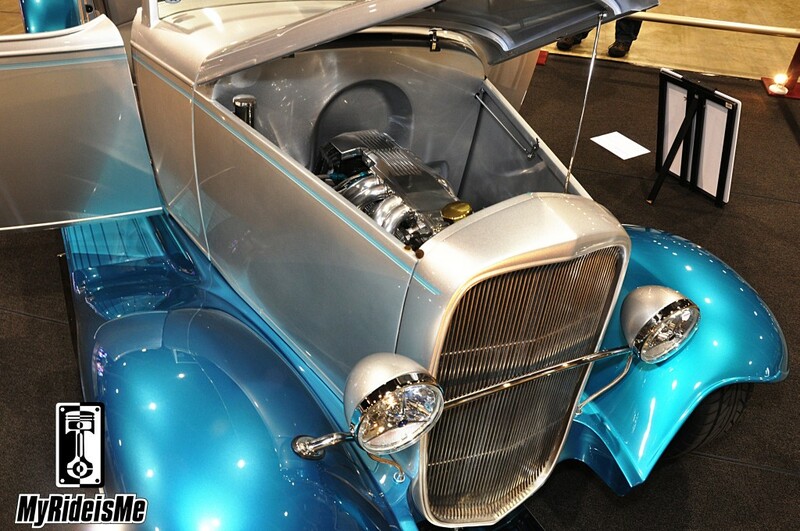 Vic had Tucci Hot Rods build this bad blown ZL1 powered 1932 Hot Rod Ford Roadster. I’d love to go for a ride, but I don’t think this one’s in the running. Check out the smaller picture here and how they ran the coils and wires inside. Never seen that before! 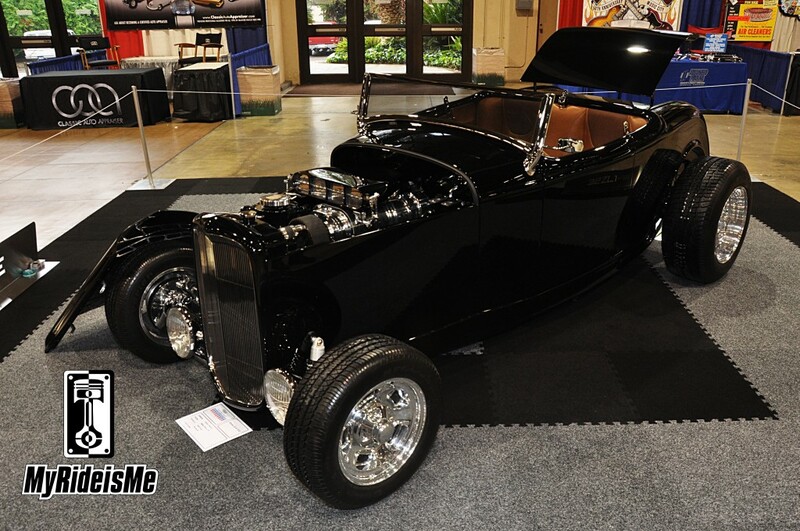 A perfectly executed hot rod with a detailed flathead, but not enough for the AMBR. Am I wrong here? I guess we’ll see, but please let me know if I got something wrong in a comment below. Swearing and ALL CAPS YELLING is okay here. You mean to tell me that Bill Coulter’s ‘American Speed 33’ and the Alexander Bros. ‘Vision 33’ were not contenders. They were the only ones in my humble opinion that could beat out the ‘Shotgun’. As you say, tell me where I’m wrong. Hi Alan, thanks for your comment. 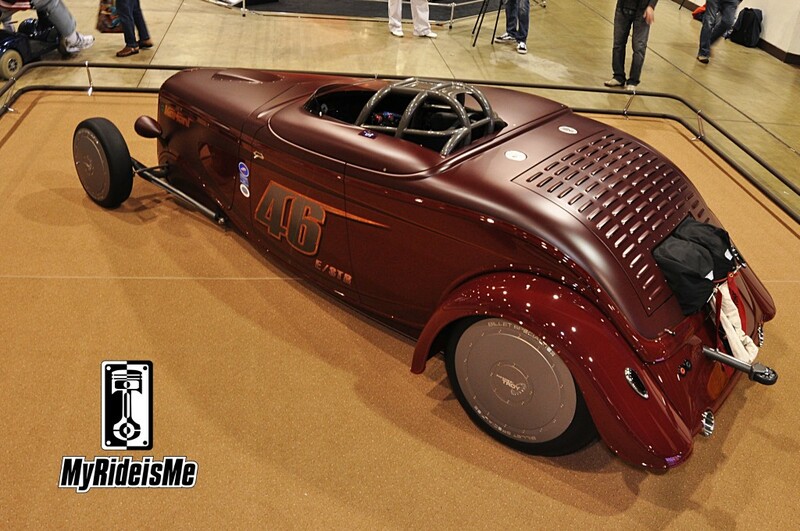 The Alexandr Bros 33 was shown at the Detroit Autorama (and lost) so I’m pretty sure it wouldn’t be eligible for the AMBR. 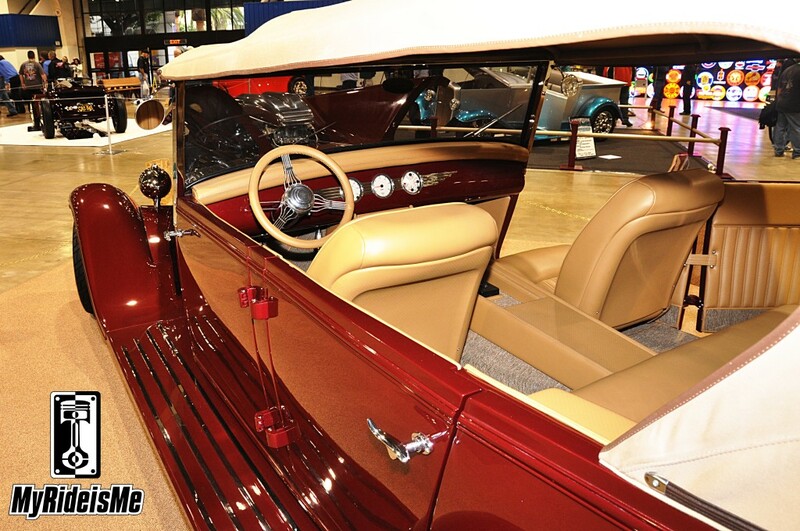 And sorry, I don’t know Bill Coulter’s car… did you see the first 7 AMBR contending roadsters here? Love your pics and website !! If you had to guesstimate, how much would you say the winner this year ( and other AMBR) cost to build ? At somepoint I would like to give Mr. Brizio a build request of my own ! Possessed was a great car!! It won the beauty contest like it should have!! 2013 Trac Rdstr is just a nice trac T!!! Thy need to change the contest name!! 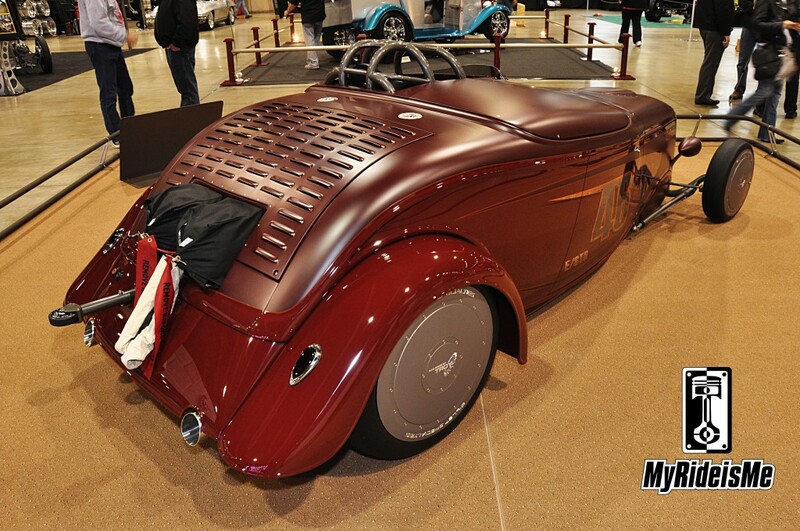 = AMBR-ST-Rod, not roadster!! I don’t like the new rules!! Yes, a few of the cars that were tehre should not have been competing!! 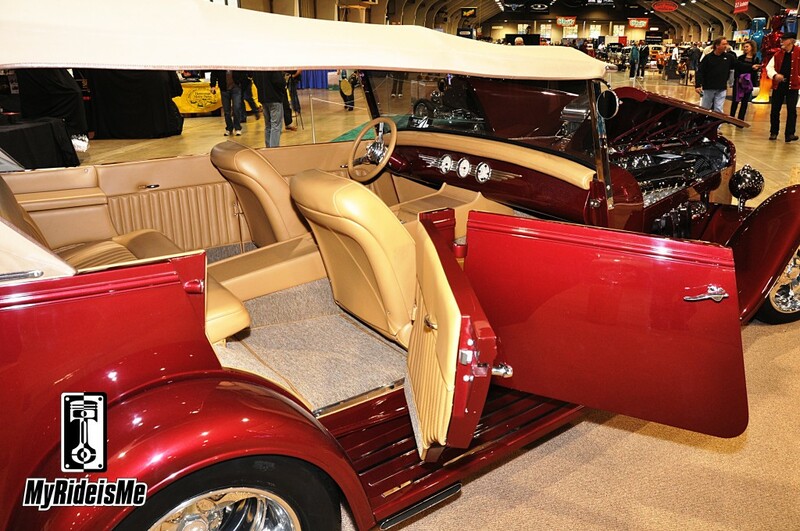 The Ridler award is still the top award even more so now with the new AMBR judging!! I think they should be able to compete at both shows!! Then we get great cars!!! What do you think on this??? Gary, I appreciate your comments buddy! I really do. But could you back off the CAPS? Online, CAPS mean you’re yelling. I think maybe you just have a loud voice? haha..
Did you mean to place this comment with the AMBR or Ridler story? I can move it for you. But in response, no, I don’t think cars should be able to compete at both. 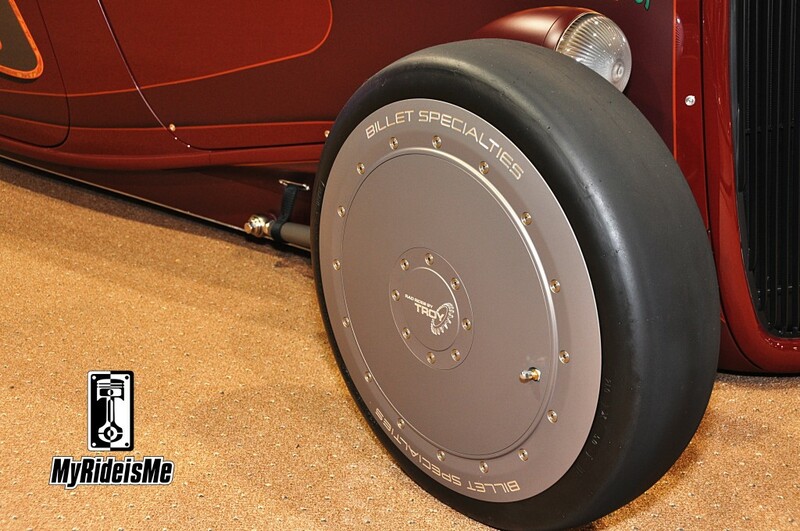 AMBR’s for Roadsters and it should stay that way. Don’t you believe in tradition? These are just plain awesome!! !